Bihar Vidhan Sabha Secretariat invites Online Application from interested and eligible candidates for recruitment to the post of “Assistant (सहायक)”, “Assistant (Research & Reference)”, “Library Assistant ( पुस्तकालय सहायक)” ,”Urdu Assistant”. 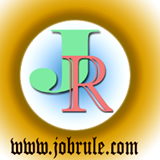 “Urdu Translator (उर्दू अनुवादक)” , “Translator (Hindi/ English)” and “Assistant Caretaker ” on regular basis with Government pay scale & salary. Bihar Assembly Assistant Recruitment 2018. To read more details about Bihar Vidhan Sabha Assistant Job 2018 and to apply online , simply go through below given direct advertisement link .